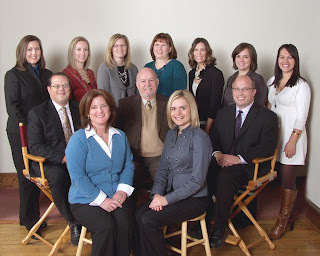 Goff Public is Minnesota’s only firm that offers the full range of public relations and public affairs services, including strategic planning, media relations, social media, crisis communications, community relations, writing, and lobbying. Goff Public has a team of 12 highly experienced professionals including lobbyists, media relations professionals, talented writers, social media experts, and project managers. Goff Public team members bring impressive backgrounds in politics and the media to our firm, and each team member has spent years honing their skills at the firm – the average tenure at Goff Public is 12 years. Goff Public’s clients vary from local nonprofits, such as Community Action Partnership of Ramsey & Washington Counties, to large international corporations, such as Polaris Industries, that need to communicate with policy makers, the general public, community groups, internal audiences, and opponents. An award-winning firm, Goff Public was recognized by the Saint Paul Area Chamber of Commerce with its Celebrate Business Success Award and has been named to the Minneapolis/Saint Paul Business Journal’s Best Places to Work list multiple times. Additionally, Chris Georgacas, president of Goff Public, was honored with a Lifetime Achievement Award from the Republican Party of Minnesota. Chris, who is now widely regarded as one of Minnesota’s top public affairs strategists, served two terms (1993-1997) as state chairman of the Republican Party of Minnesota. The Goff name has been at the forefront of the public relations and public affairs industries in Minnesota for more than 45 years. The roots of Goff Public date back to 1966 when Bob Goff cofounded an advertising firm called Coleman and Goff Advertising. Because several of its clients could not afford expensive ad campaigns, the firm began pitching stories about these clients to newspapers. Coleman and Goff Advertising became one of the first public relations firms in the Twin Cities. In January 2011, Goff Public changed its name from Goff & Howard. 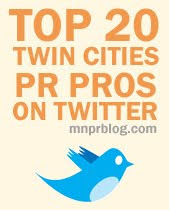 Today, Goff Public is a premier public relations and public affairs firm serving Minnesota and the Upper Midwest. Connect with Goff Public on Facebook, Twitter, or our blog, The GP Spin.